I am happy to announce that my post on mailing yeasts has been well received and has led to a number of productive exchanges with other yeast ranchers. But aside from greatly expanding my yeast bank, these exchanges have also identified a few flaws in the mailing and recovering methods I described in my original post. These flaws appear to stem from the modification I made to the mailing protocol. A modification I had meant to ‘convert’ the method from a method intended for use in a biology lab to a method that the average home brewer could use. In this post I will discuss how to optimize the sending and receiving process, in order to maximize your chance of a successful yeast exchange. In addition, at the end of the post I will go over the original (lab-based) method, for brewers interested in trying it. Because the lab-based method works by transferring colonies of yeast off a plate onto the mailer, much larger numbers of yeast are transferred to the paper compared to the original home brewers method. 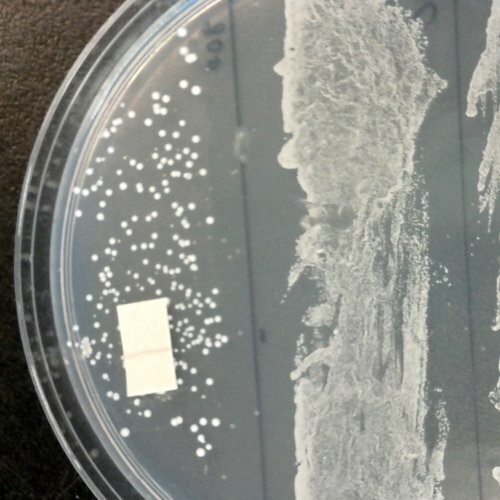 The lab method uses yeasts growing on an agar plate – these yeast are better adapted to being dried on paper, as they are already growing in (and thus adapted to) a non-fluid, high-yeast-density environment. The key to successful mailing of wort-cultured yeast is to maximize the number and health of the yeast being placed on the paper. As such, frozen or otherwise banked yeast should not be deposited directly into mailers. Freshly washed yeast, or a starter, are ideal sources for yeast. Obviously, all steps must be conducted using the best sterile conditions you can create, using sterile materials. Prepare a tube with a small volume (1-2ml) of sterile 1.040 wort using DME (larger tubes/volumes can be used, this is the minimal amount). Transfer a small amount of the banked yeast into the tube. Grow, with shaking, for 24 to 48 hours, until fermentation is complete. Condition & sediment the yeast by placing in a fridge for 48 hours. Transfer the sedimented yeast to the mailer, as per the original post (i.e. sterilely place a few drops of the suspension onto the mailer). Allow the yeast to sediment, preferably in a fridge, for at least 2 days. If using yeast from a yeast cake, it is best to wash the yeast first. Transfer 10-20ul (1-2 drops) of the yeast slurry to the mailer, as per the original post. As described in my original post, you can recover mailed yeasts using either liquid wort or agar plates/slants. Contrary to what I posted originally, we have had the best success using liquid wort for recovery (>90%, versus ~75%). This is due, in part, to a missing step in my description of recovering yeast using a plate. Prepare a tube with ~5ml of sterile 1.040 1.020 wort, preferably with antibiotics to suppress any contaminating bacteria. 28/12/2013: Since this post I have found that 1.020 wort works better for recovery, so use that. Using flame-sterilized and cooled tweezers, transfer the yeast-containing paper into the tube. Incubate at room temperature, with agitation, for 24-48hrs. Note: If you don’t have access to antibiotics, it may be a good idea to streak the yeast on an agar plate after step 3, so you can select out pure yeast strains (see below). 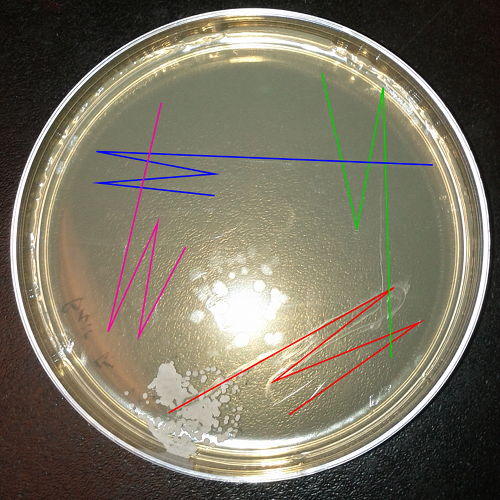 Prepare wort-agar plates or slants, as described below. YPD media can also be used, if you have access to it. Using flame-sterilized & cooled tweezers, place the mailer on the plate/slant. NOTE: if the yeast-containing paper has a pen or pencil mark on one side, this side should be placed upwards, away from the agar surface. NEW STEP: Add a drop or two of boiled & cooled distilled (or otherwise dechlorinated) water to the paper. Incubate the plate/slant, with the whetted paper in-place, for 24-48 hours. Remove the paper; streak out the colonies if they are too dense (see below). NOTE: At this point you may wish to transfer the paper to a tube of sterile media to act as a backup to the plate. If you don’t have access to antibiotics, it may be necessary to purify the resulting yeast of contaminating bacteria. This is done by streaking out the yeast to form single colonies. You can then pick single colonies of yeast, thus removing any contaminating bacteria. Deposit a small amount of yeast on the plate. This can be either the colonies formed after recovering yeast from a mailer (which is what is shown in the image to the right), or can be 10ul (one drop) of yeast from an actively fermenting tube/starter/batch of wort. Flame-sterilize and cool* an inoculation loop (a pressure-cooker sterilized toothpick can be used instead**), run it through the deposited yeast, and smear out the yeast using a continuous zig-zag pattern over 1/4 of the plate (red line in image). Re-flame & cool the loop, or grab a new toothpick. Run the loop/toothpick over the ends of the zig-zag pattern made in step 2, and form a new zig-zag pattern in the neighbouring, unused, quadrant of the plate (green line). This will pick up a small number of yeasts and smear them out, thus diluting your sample further. Repeat this process two more times (blue & pink lines), using a freshly flamed loop or fresh toothpick for each smear. Incubate the plate, inverted (i.e. with the agar on top) at room temperature until visible colonies form along the streaks – generally 24 to 48 hours. Pick a colony and perform a test-ferment. While performing the test-ferment, store the plate by taping the edges with masking tape or plastic wrap, and placing inverted in the fridge. Dispose of the plate once you’ve confirmed the selected colony is the desired yeast. By storing the plate, you can grab additional colonies should the first one turn out to be something other than the desired yeast. are visible along the 3rd & 4th streak. * It is critical the loop be cooled before streaking, otherwise you’ll kill the yeast. Heat the loop until it glows red, then remove it from the flame and let cool until the colour dissipates. Then touch the loop to the agar plate (in an out-of-the-way corner), and hold it there for 10 or so seconds. ** To sterilize toothpicks, make a foil envelope and place 4 or 5 toothpicks in it. The envelope should be constructed such that the opening is on the narrow side (i.e. so when its opened, you grab the toothpicks by their end). Autocalve or pressure cook it for 20 minutes to sterilize. To use, open the end of the envelope and draw a single toothpick. Make one streak, using the end of the toothpick you did not touch, then discard the toothpick. Use a new toothpick for each streak on a plate. By placing 4-5 toothpicks in an envelope, each envelope will be sufficient for 1 streak plate. The method I originally adapted for use by home brewers is widely used by microbiologists in order to share strains of yeast and certain types of bacteria. My modification was aimed at making this method more accessible to most home brewers, as the original lab-based method required the capability to produce, and use, agar plates. The ‘cost’ of my modification was a reduced likelyhood of recovering the yeast, although the tweaks mentioned above may have eliminated that disadvantage. Dissolve 2g of DME and 1.7g of agar into 100ml of dechlorinated water. Note: the agar will not dissolve completely until heated. Cover your flask/container with tinfoil, then autoclave or pressure-cook for 20 minutes. Pour the plates working near a flame in a draft-free clean area, and pour into sterile petri dishes. When pouring, the solution should be fairly viscous – if it runs like water it is too hot and should be left to cool slightly longer. Be careful to not splash, as this will introduce bubbles that lead to surface defects. Immediately after pouring a plate cover it with a lid. Then proceed to the next plate. Invert the plate (so that dish rest on its lid). Plates should be stored like this to prevent water droplets from falling off the lid onto the agar. Leave plates inverted, in a dry, draft-free room, for 4 to 12 hours, to allow excess moisture to evaporate. Place into zip-loc bags and refrigerate until needed. If prepared and stored properly the plates should remain usable for upto 3 months. Some people prefer to use slants. While they are not compatible with making streak plates, they do require less materials, are easier to prepare, and are less prone to contamination. Moreover, they can be used to bank yeast, meaning a strain recovered from a mailer can be immediately banked without additional steps. Fill sterile culture tubes (14-20ml tubes are ideal) half-full with the agar/wort mixture. Cap tubes immediately after filling, and place on a rack slanted 30-60 degrees. Once solidified, transfer to a fridge. Prepare the foil envelopes and cut the absorbent paper as described in the original post. New Step: Mark one side of the absorbent paper with a pencil or ball-point pen*. This will mark the side of the paper that the yeast is not on. Complete preparation and sterilization as described in the original post. * Felt pens are not recommended for this step, as they tend to soak through the paper. The goal here is to clearly demark one side of the paper from the other. Loading a mailer on a plate. Plate out a small mount of the yeast being mailed onto a fresh agar plate or slant. 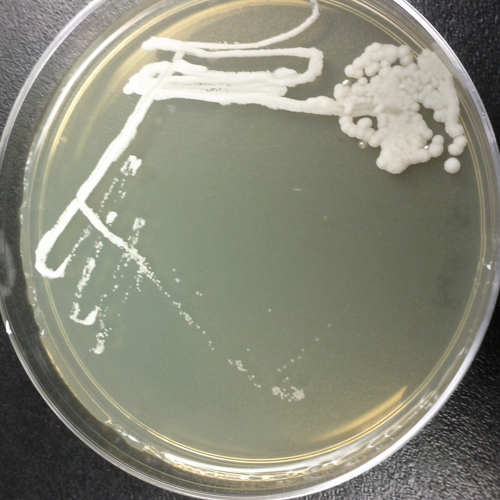 If using plates, multiple strains of yeast can be spread out on a single plate (image to right). Let yeast grow until visible colonies appear; colonies should be at least 3mm (larger than a pin head) before moving onto the next step. Using the sterile techniques described in the original post, remove the absorbent paper from the foil envelope. Press the paper onto the colonies, with the pencil/ink mark upwards (i.e. the ink/pencil should NOT touch the colonies*). After a few seconds of contact, lift the paper and return it to the envelope, using proper sterile technique throughout. Seal and mail as per usual. *It is important to place the yeast on the side of the paper opposite to the pen/pencil mark for two reasons – 1) Consistency, and 2) To avoid contact with any toxic chemicals that may be in the pencil lead/pen ink. The process of recovering yeast sent using this method is identical to the methods described above. Important Note: If using agar plates/slants for recovery it is essential that the pencil/pen mark on the paper be placed facing away from the agar, in order to ensure that the side of the paper with the yeast is in contact with the agar surface. It may work for some strains, but others don't do as well. I would recommend slants or freezing for yeast storage. I've seen several references to this as a potential way to store yeast for years (20m 1 study, 4-6 years in a book – strain dependent) at 4C in a refrigerator.